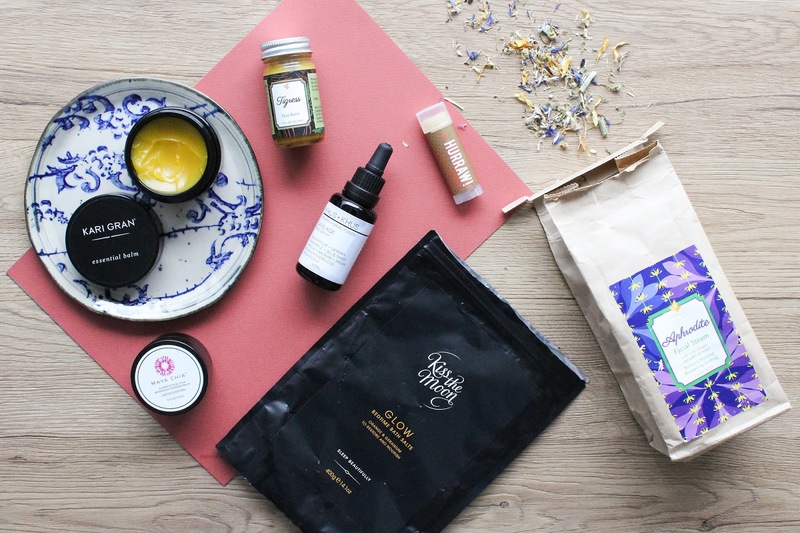 I wanted to talk about a few products that have been keeping me company last week, when I spent most of my days nicely tucked away in bed. Not sure about you but when I'm sick my skin can turn a bit dry and in need of more intense care. I’m sure we all know that when being sick the most important thing is hydration – lots of water, tea, lemon water with ginger, turmeric and black pepper, also smoothies, fruits. You know how it goes. Surprisingly this time my skin was doing quite well. It was hydrated, soft and strangely quite calm and without redness as well. It was a bit different around my nose because of my constant blowing but even that wasn’t as bad as some other times. As mentioned, I tried to drink as much as I could but some skincare products also immensely helped keeping my skin happy. Where should I start? Let’s go with skincare. 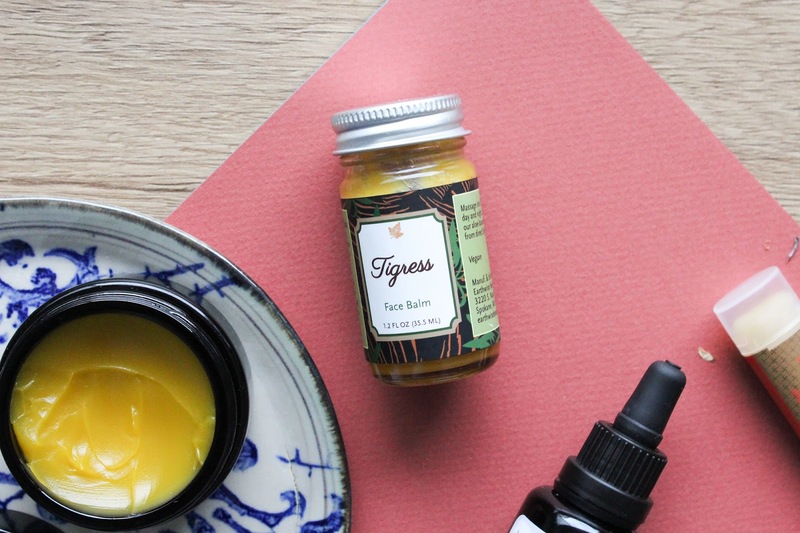 I’ve been really into the new face balm Tigress* from Earthwise Beauty. This is such a special balm and it’s like no other balm I’ve tried before. As it’s always the case when it comes to EWB products, Tigress contains unique and interesting ingredients, like Kokum and Ucuuba Butters (say whaat? ), Passion Fruit, Babassu and Sapote Oils, and many more. There's no Shea or Cocoa Butters which is wonderful for my skin because Cocoa Butter can clog my pores. No Beeswax as well, which makes this roaring balm vegan friendly. Tigress is very lightweight, especially if you think of balm textures. It melts upon touching the skin and it’s absorbed beautifully into the skin. It’s really not thick or greasy but truly really different. You know dry oils? Well this to me is a dry balm. A balm that was specifically created for acne prone and oily skin types, but I hear it also works for dry skin. It is a wonderful balm! It doesn’t cause any break out or clogged pores but it actually heals my skin. Plus it’s hydrating. Very, very lovely product. You can expect a full review in a few weeks when I will use it for longer but for now you can get it here. Use my affiliate code "Loveliness" to get 15% off. 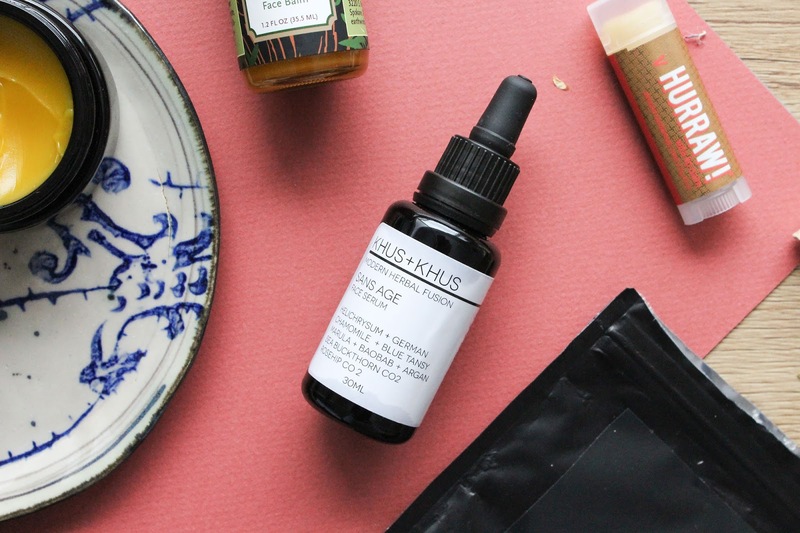 Ok so I’ve been using Tigress balm in the evenings but through the day I’ve been loving the December Sidekick product, the KHUS + KHUS Sans Age Face Serum*. 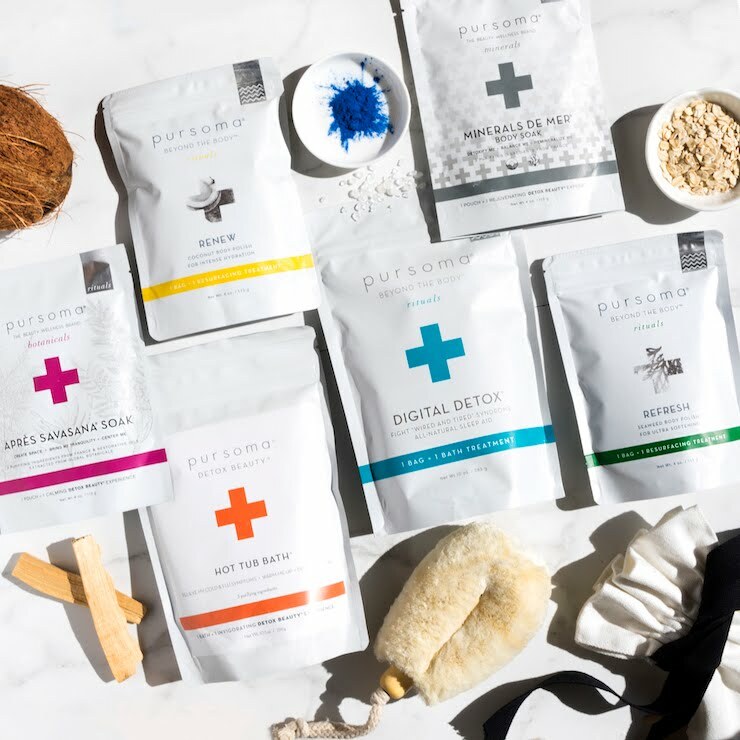 I’ve been so impressed with this month's Beauty Heroes Discovery, first with the Bleu Body Wax whish is just dreamy and lately also with the face serum. Sans Age Face Serum is formulated with ingredients to diminish signs of inflammation, and increase a look of vitality and youthfulness in skin. Ever heard of the term "inflamm-aging"? KHUS + KHUS understands the biochemical connection between systemic inflammation and visible signs of aging. Aka take care of inflamed and reveal youthful skin. Helichrysum, Blue Tansy, German Chamomile, and a few more ingredients, this oil has been keeping my skin soothed and less inflamed. Always something I love in skincare products. You can get this beautiful face serum in the December Beauty Heroes box, check it out here. 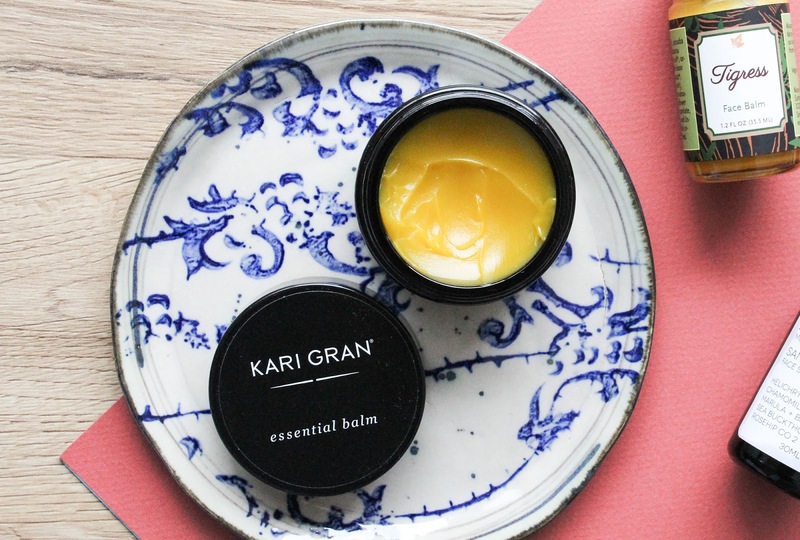 Another impressive balm is the newest Kari Gran product, the Essential Balm*. This stunner was in the Beauty Heroes Holiday Discovery and it really is such a gorgeous balm. Like Tigress this one is also different to other balms because it doesn't contain any butters. Only beautiful organic oils and beeswax. These ingredients create a very smooth and soft consistency which I love. After all that lying in bed and rubbing my face in the pillow, this balm provide a wonderful hydrating pick me up in the middle of the day. Not to mention the gorgeous scent. Love. 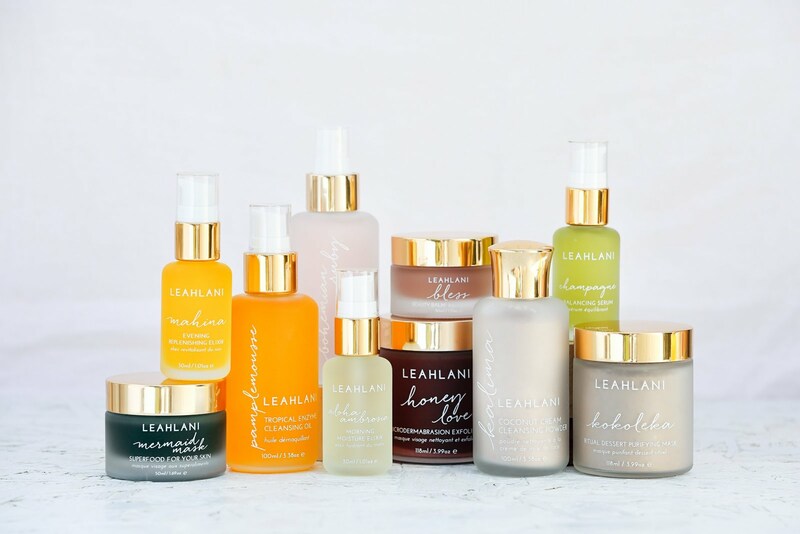 Read more about the Essential Balm in this post and get it here. 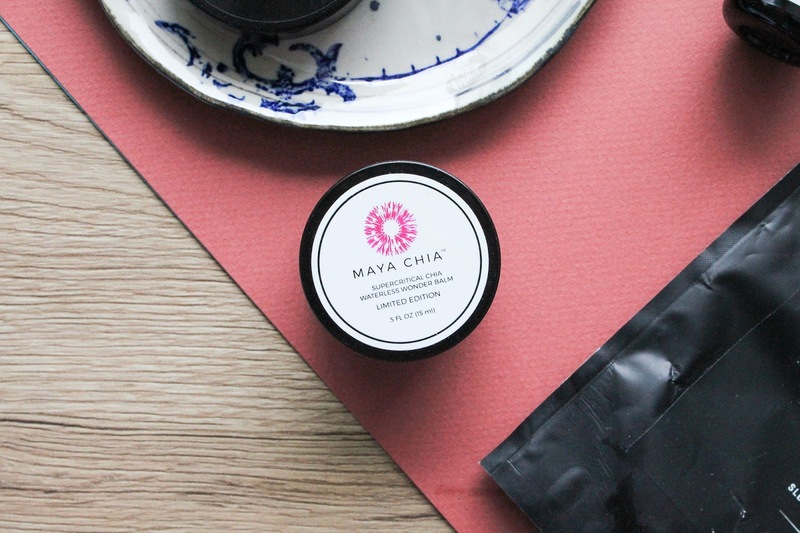 For the skin around my nose I highly recommend the Maya Chia Supercritical Chia Waterless Wonder Balm*. I have the Limited Edition scent which I so kindly received in a Beauty Heroes box (quick review here). I only have a tiny bit left and that was all I needed to soothed and take care of the very dry and flaky skin around my nose. In this article this is the third balm I'm mentioning and this one is also unique in its own way and different to the other two. Contains Shea Butter and a few oils. I find it most nourishing and I assume that's because shea butter creates almost a film on the skin and takes care ofit so well. Really impressed! I'm not sure if this beautiful sweet and floral scent is still available but you can get Traditional citrus scent. Check it out here. Sometimes I used the Maya Chia balm on my lips as well but Hurraw! Vata Lip Balm* performed much, much better at keeping my lips soft and plumped. 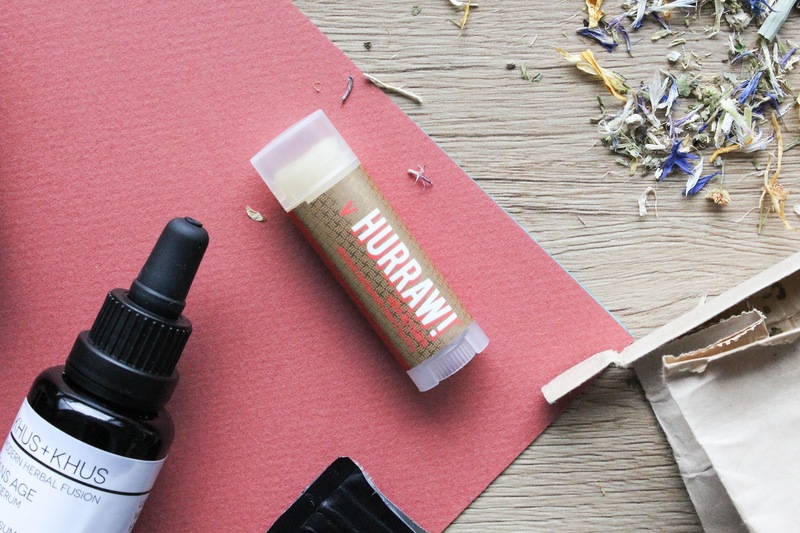 Nothing new here, I've been a fan of Hurraw lip balms for so many years now & I don't plan on stopping anytime soon. 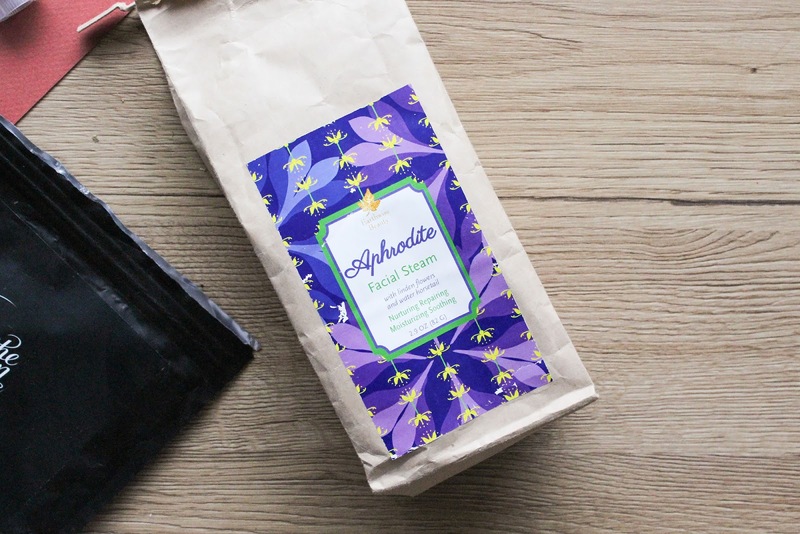 Special mention has to go to the Aphrodite Facial Steam* from Earthwise Beauty. 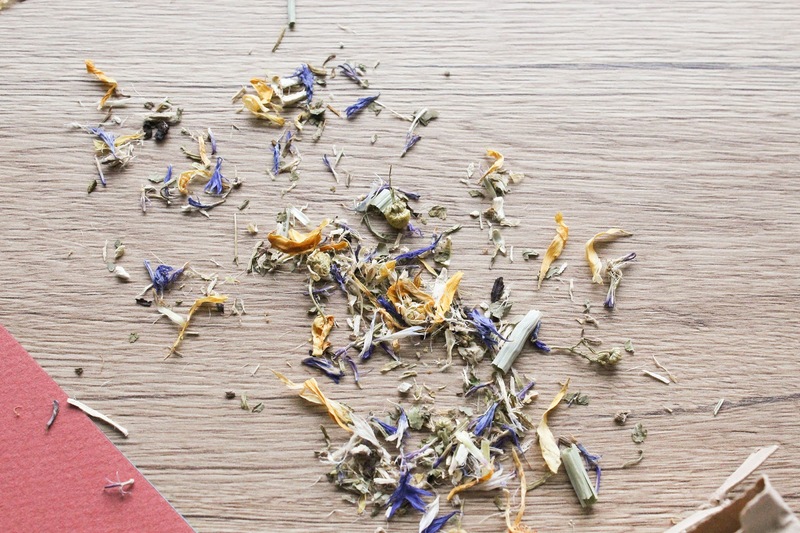 This herbal blend is filled with Calendula, Marshmallow Root, Linden Flowers, Cornflower Petals and more. Not only it is wonderful for the skin but it also helps to combat congestion and soothe coughing. Perhaps some other herbs would be even more beneficial but I've been using this one and loving it. It offered some relief and I could breathe more easily + it always makes my skin softer and more hydrated. Facial steaming is very good for the skin and I really should do it more often. You can get Aphrodite here. Also check out their newer facial steam called Selene. 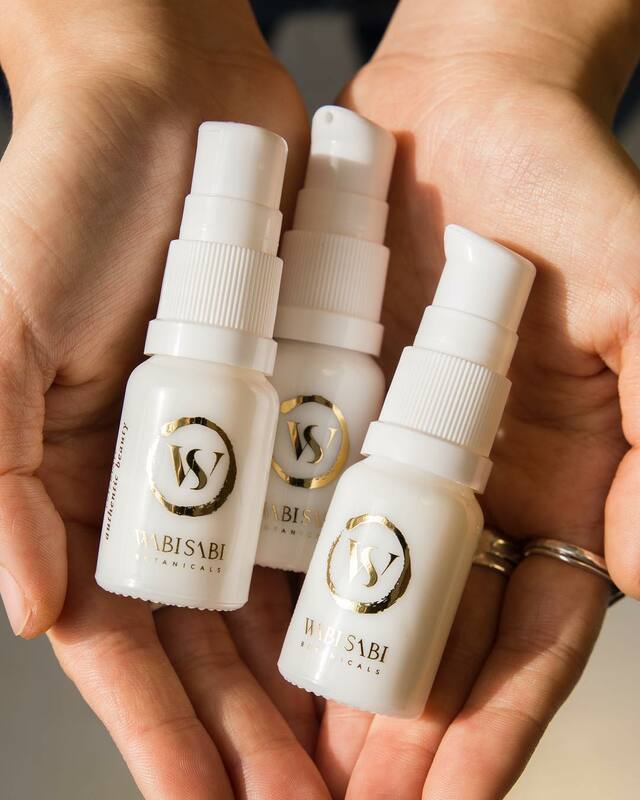 In Europe you can get EWB products at Eminessences. Baths also help with congestion and they always make me feel better. 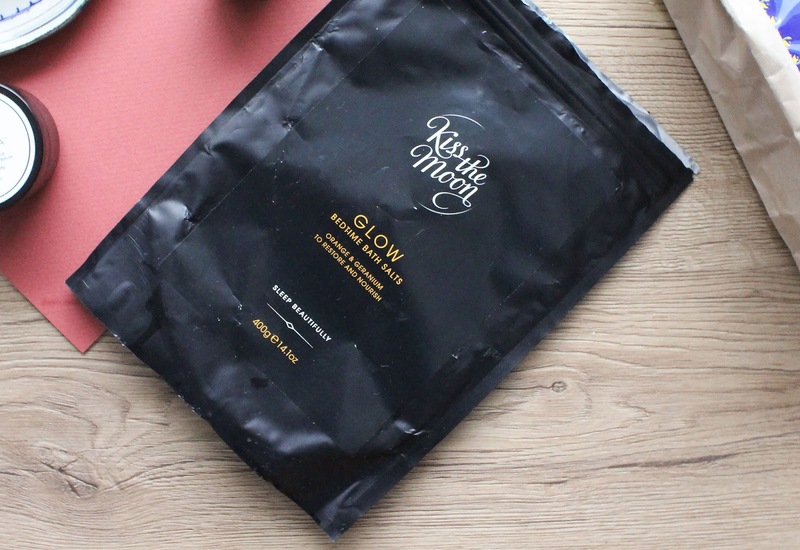 The bath product I've been currently into is GLOW Bedtime Bath Salts* from Kiss The Moon. I love that this product contains Epsom Salts which are very benefical and help body to recover and detoxify. They also help to relaxe muscles and reduce swelling. I will say that these bath salts don't have the best scent but luckily it isn't too strong and I don't even smell it when the bath is full of water. I probably use too much but I wish the bag would last me a bit longer. I got less than 10 baths out of it. Since I've been a bit MIA and because I adore the content of the different December beauty boxes I simply have to update you on them. 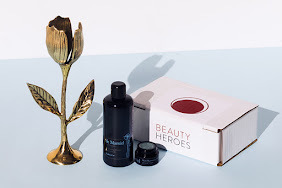 I've already shared what's in the Beauty Heroes box. By subscribing you can get the KHUS + KHUS Beauty Discovery, featuring Bleu Body Wax and Sans Age Face Serum. 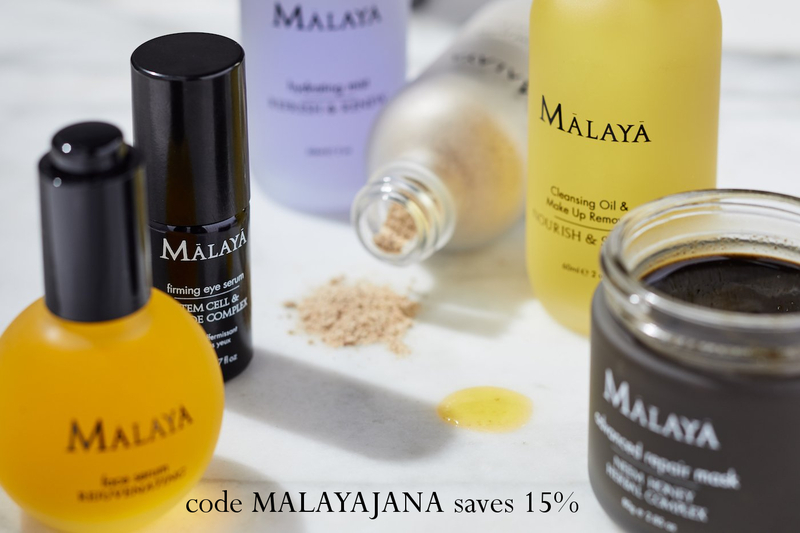 Beauty Heroes members also have 15% off in their beauty store. 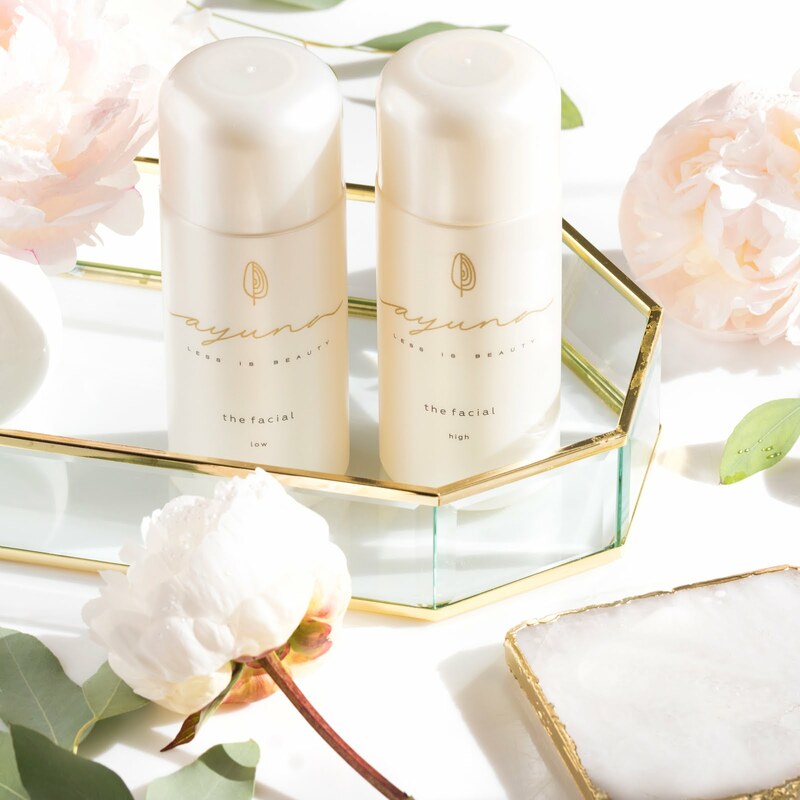 Their current LOVE MORE promotion - purchase $125+ and you will receive the new Innersense Organic Beauty Hydrating Hair Masque (full size!). Also check out their Holiday Beauty Store. 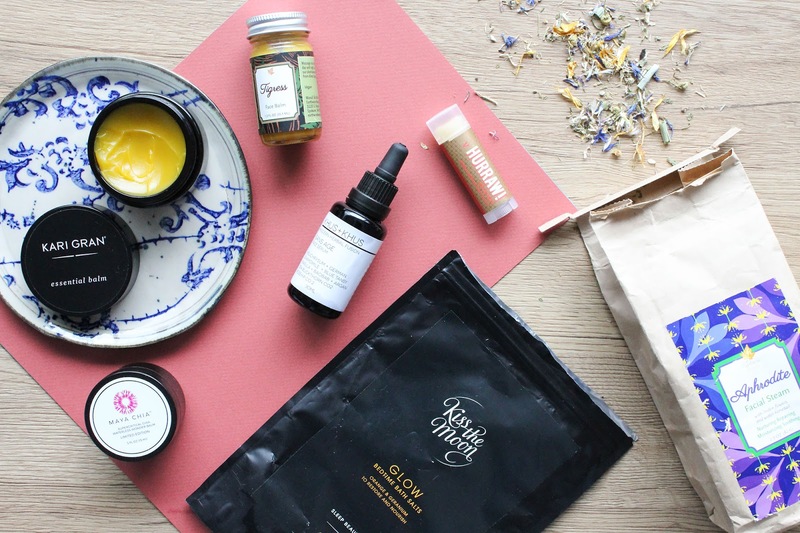 Art of Organics' December Clean Beauty Box (valued at $163, get it for $39) is called MOONBEAM and the box features Kahina Giving Beauty Moisture Mask, which I've tried once and it looks like my skin will love this mask, and Luna Nectar Moon Boost Lash + Brow Enhancing Serum. I've never used a lash & brow serum before so this product is very exciting to me. I heard some ladies are having amazing results so I can't wait to see how it will work for me. You can get this box by subscribing or as a one-time box for $49. 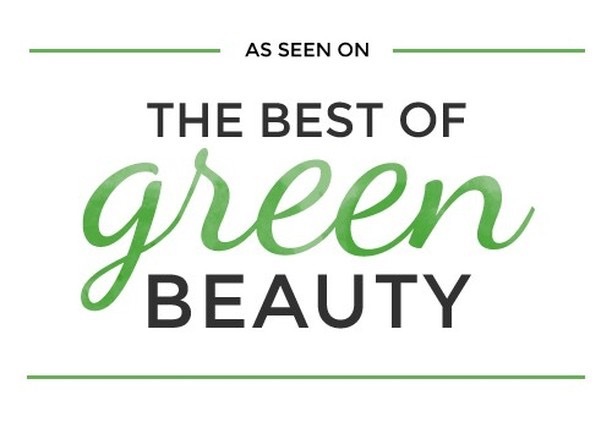 Art of Organics members always have 15% off in their beauty store. At the moment they're also having a sale. Spend 50+ and get 20% off with the code GLITTER20, spend 100+ and get 25% off with the code SHINE25. 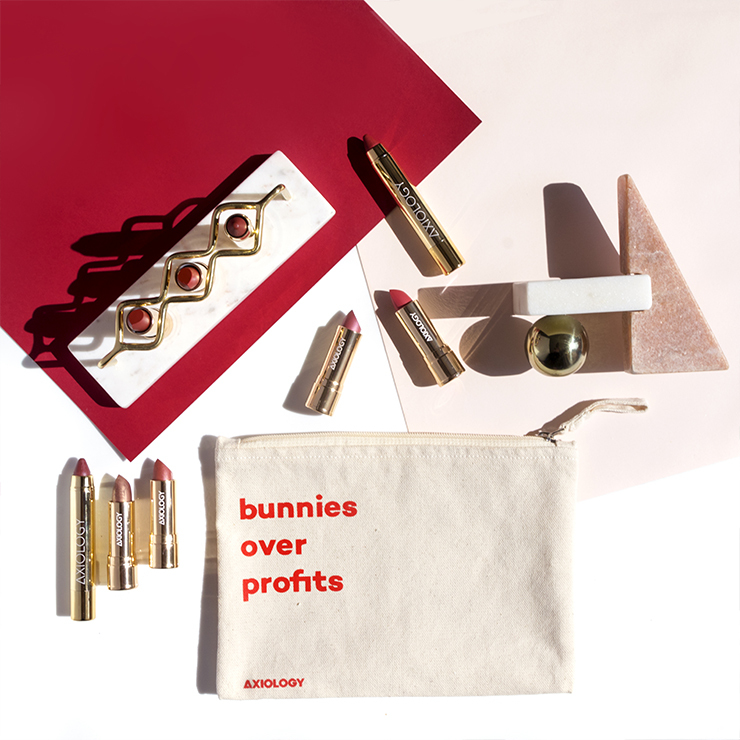 Sale doesn't include subscriptions for December - only store items. 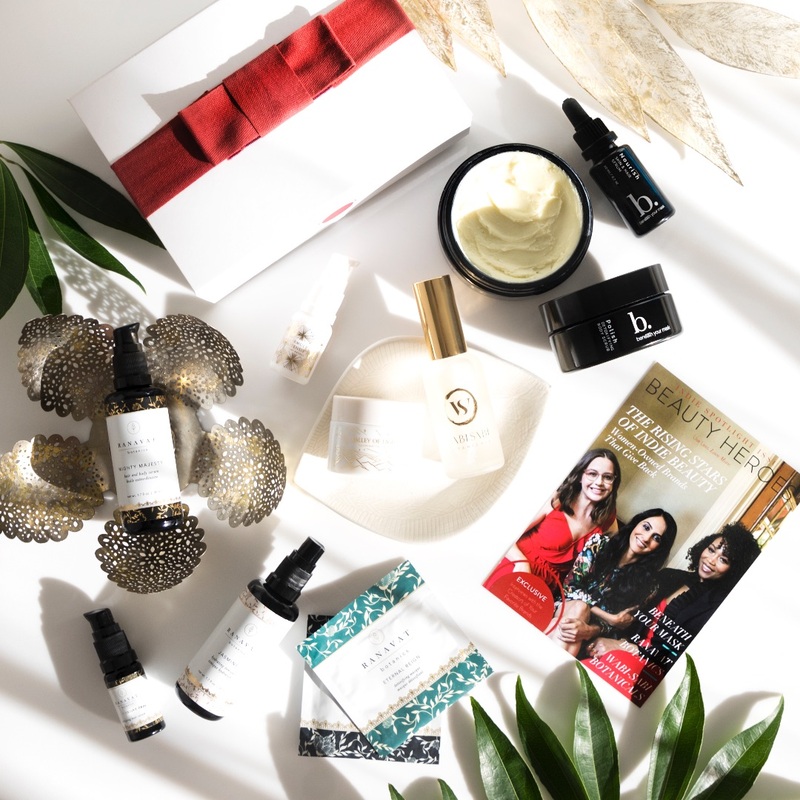 For those of you who missed the December Boxwalla Beauty Box you can still get it as a one time box here. 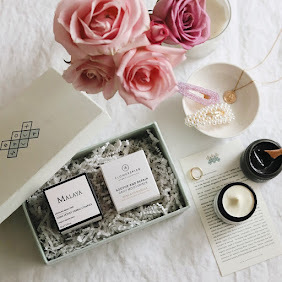 Boxwalla boxes always deliver and this box contains three products, Dafna's Personal Skincare Eye Care, Lepaar 24K Precious Oil and Rebel and Mercury Candle Tin. More information about the products here. Another long post from me. Hope you enjoyed it. Hope you're all having a beautiful start of a new week!